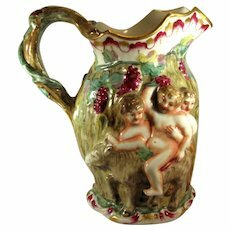 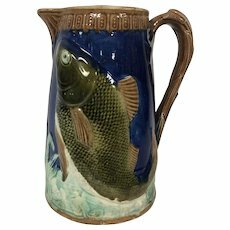 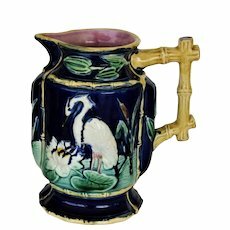 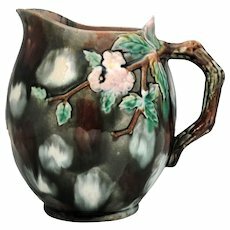 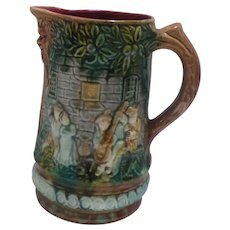 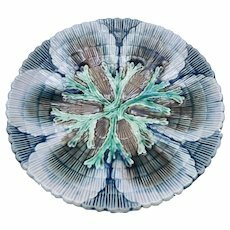 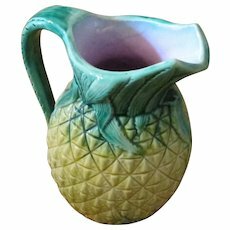 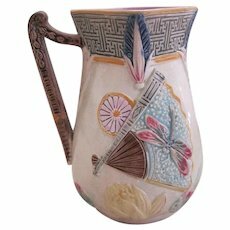 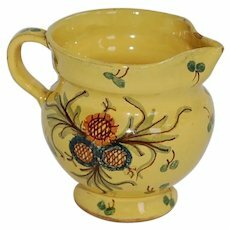 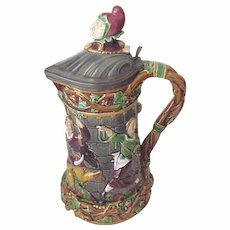 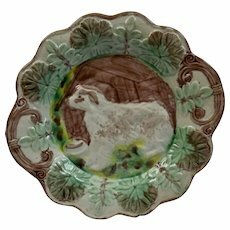 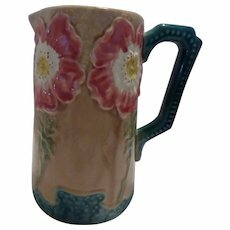 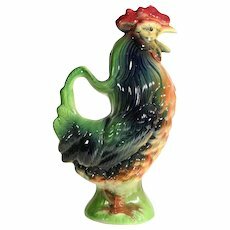 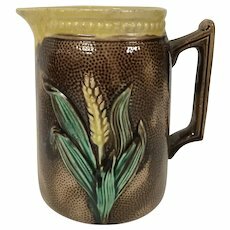 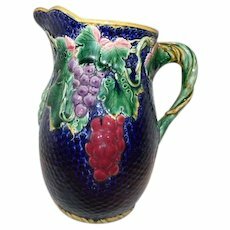 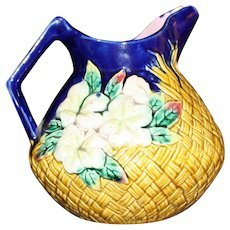 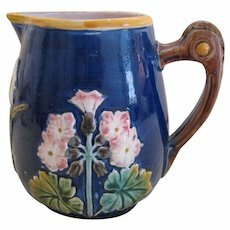 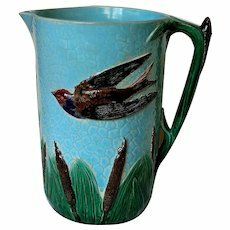 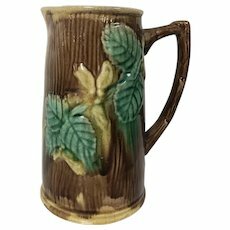 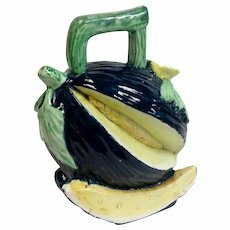 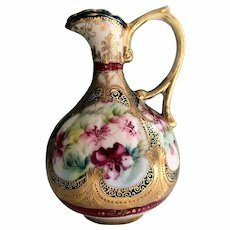 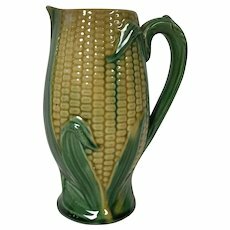 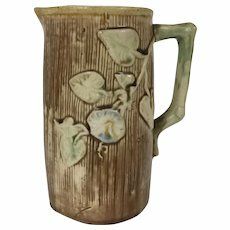 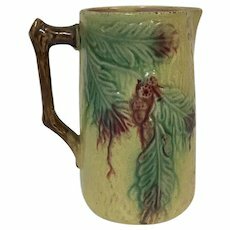 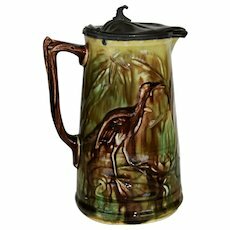 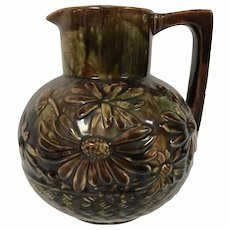 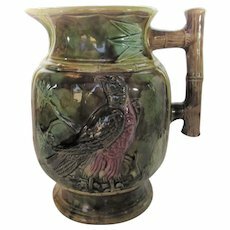 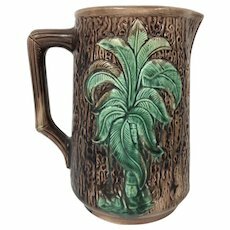 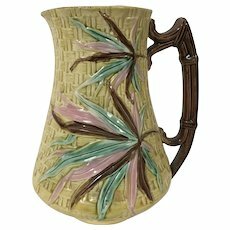 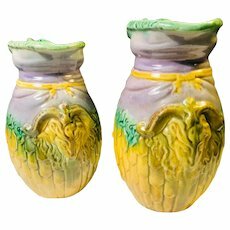 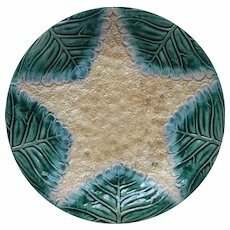 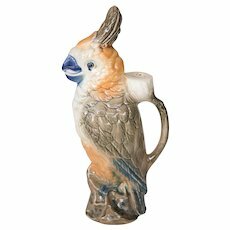 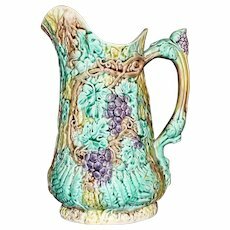 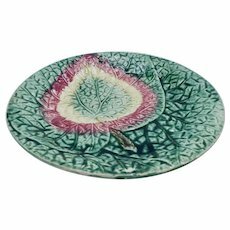 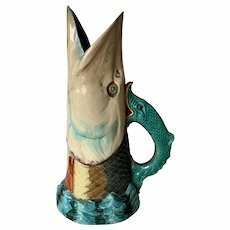 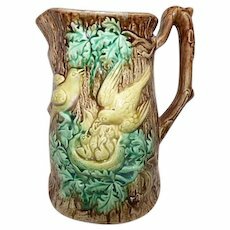 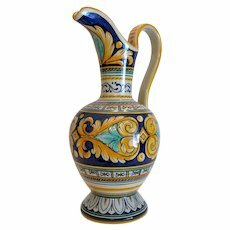 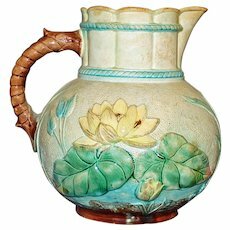 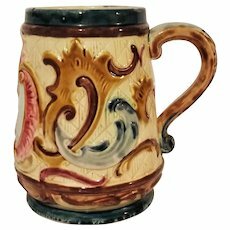 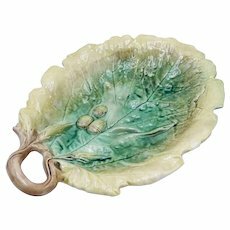 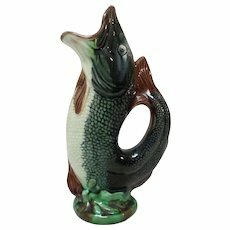 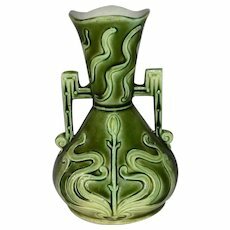 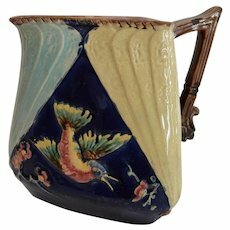 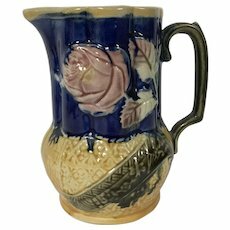 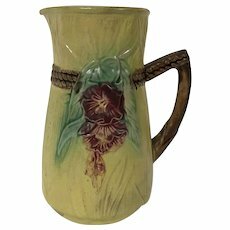 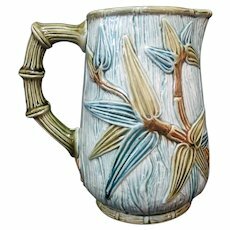 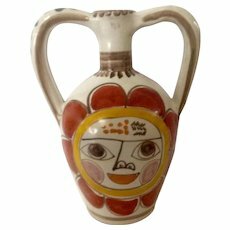 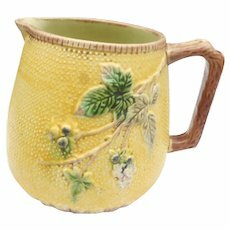 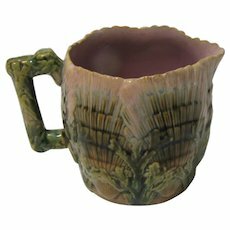 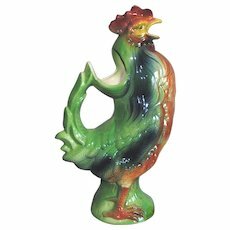 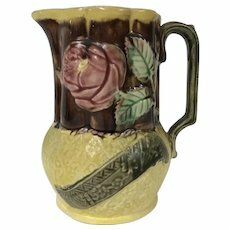 This new majolica pitcher is quite convincing at first glance. 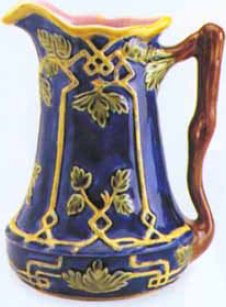 It has pink glazed interior and cobalt blue exterior. 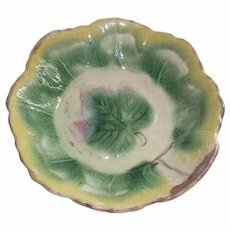 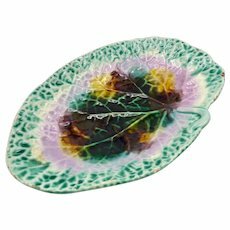 The ivy pattern is similar to authentic Victorian designs. 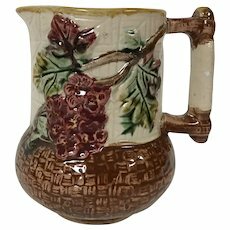 It measures 5" high; no permanent mark; retail $18. 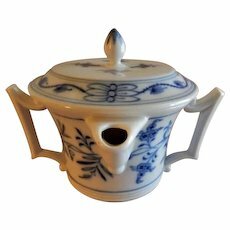 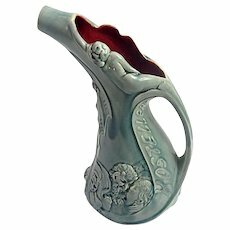 It can be recognized as new by looking inside the body where the handles join the sides. 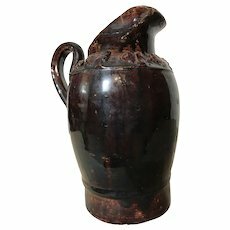 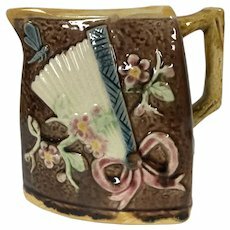 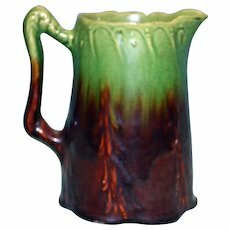 Old handles were made as separate solid pieces; it is smooth on the inside wall where old handles join the side of the pitcher. 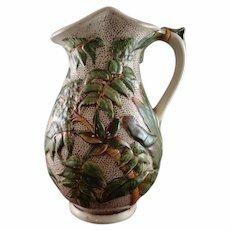 New pitchers are slip cast as one piece with hollow handles. 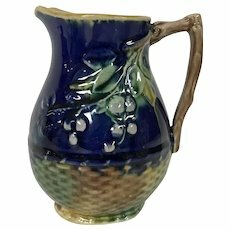 There are holes on the inside of the pitcher where new handles join the side. 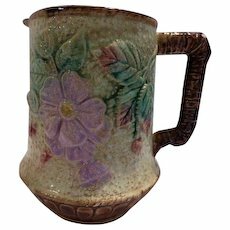 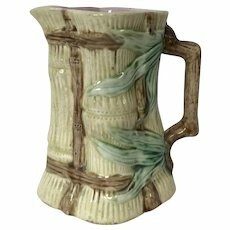 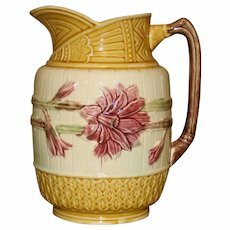 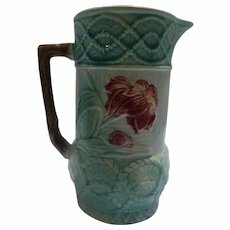 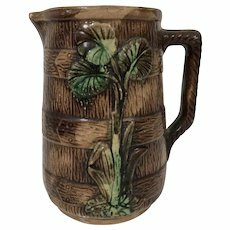 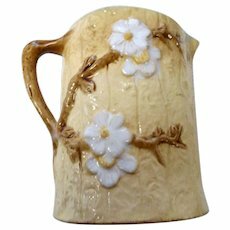 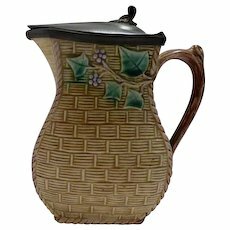 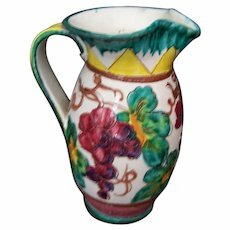 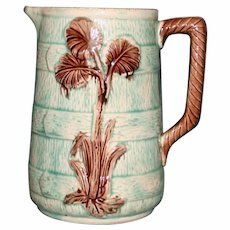 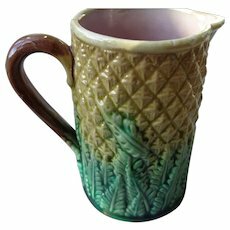 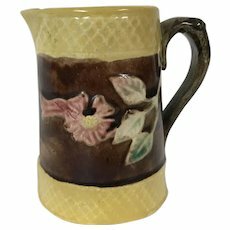 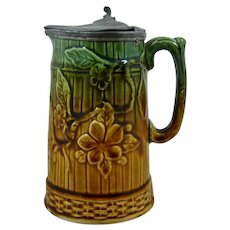 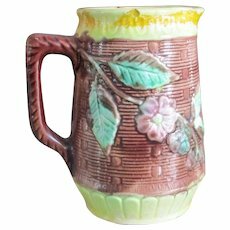 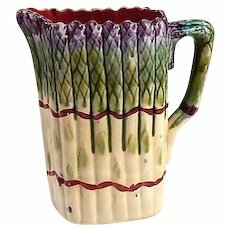 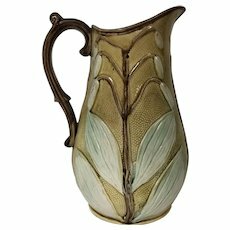 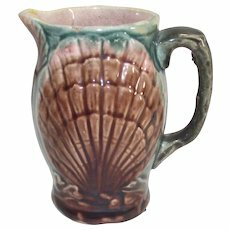 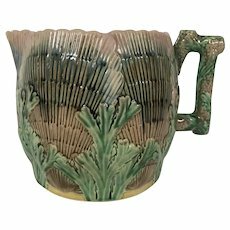 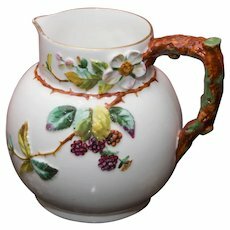 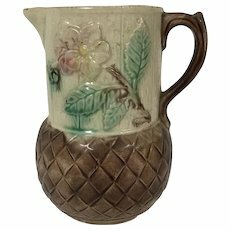 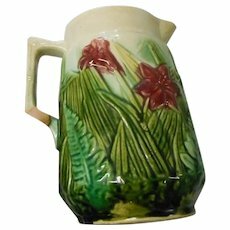 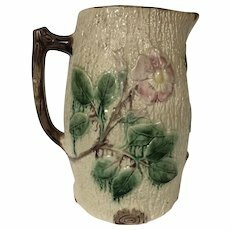 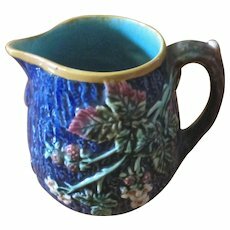 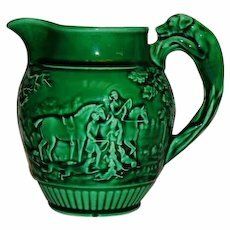 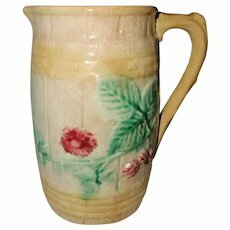 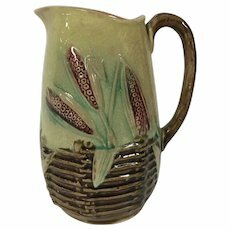 A similar new pitcher has also been issued in a Lily of the Valley pattern. 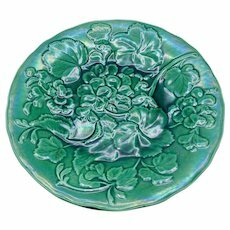 Same size, cobalt with white flowers and green leaves. 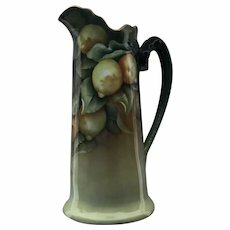 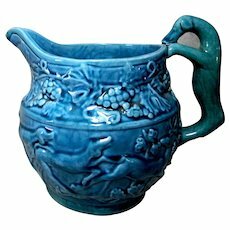 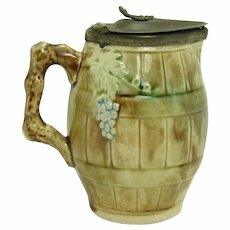 Wedgwood Majolica Hound Handle Hunt Scene Pitcher 4 3/4"
Capodimonte C.1860 Pitcher Jug Bacchus, Grapevine Handle.